Partituras de 11 composiciones de Laurindo Almeida con arreglos del propio compositor para guitarra clásica y voz. Incluye biografía (en Inglés) del compositor. 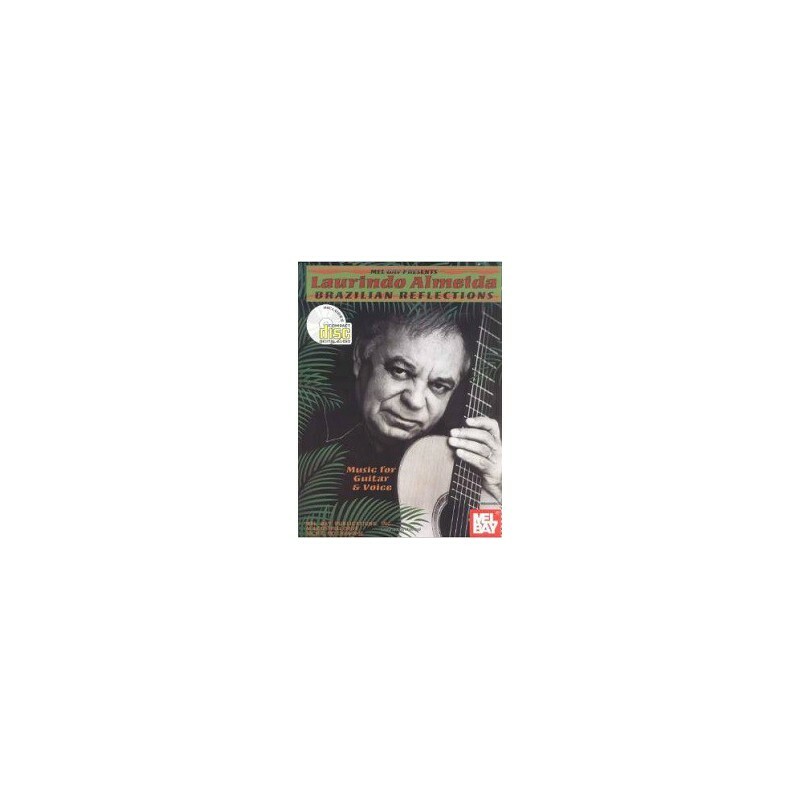 "A collection of rich harmonic and contrapuntal vocal/ guitar arrangements by the renowned guitarist and composer, Laurindo Almeida. 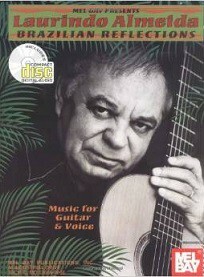 Born in Sao Paulo Brazil in 1917 and immigrating to the U.S. in 1947, it was Almeida who brought the bossa nova style to the United States long before it was so named. With Brazilian Reflections, the always elegant and tasteful Almeida brings his skills as a supreme guitarist and arranger to bear in these stunning arrangements of traditional and modern songs from Brazil. Written in standard notation with Portuguese lyrics. The companion CD included with this book features Almeida accompanying his wife, soprano Deltra (Didi) Eamon Almeida, in spirited and soulful renditions which reflect their love of this music and their life-long personal/ professional collaboration."